It is a great frustration for students of economics that the most topical and innovative areas of the subject are often beyond their reach and not featured in textbooks. In this new text the key topics at the cutting edge of economics are fully explained and discussed in an accessible and user friendly style. The author covers important areas like economic methodology and economic thought and topics that have attracted substantial interest in recent years, including game theory, the environment and economic growth. 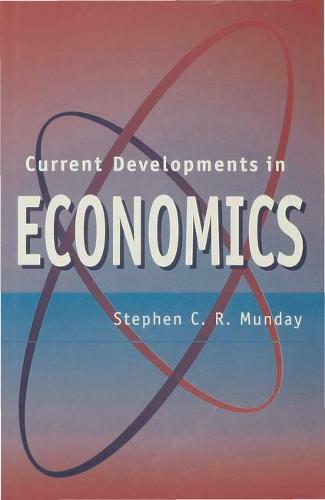 This text is sure to become essential reading on introductory courses in economics.